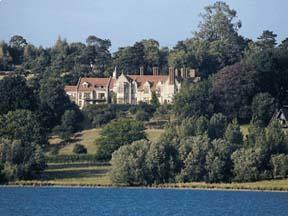 Choose from 12 hotels and guest houses in Rutland. Shown below a just a selection of the hotels available. To search within an area please use the menu on the right. In the heart of Oakham, in the town's old market square, this charming hotel was once a 17th-century coaching inn. Today, it still retains many beautiful original features. Known for its warm and welcoming atmosphere, the Whipper-In Hotel is a traditional country hotel with real log fires, deep armchairs and ancient original oak beams. Oakham is the county town of Rutland, Britain's smallest county. Centrally located, the hotel has good access to the region's major road network, including the A1 and the M1 motorway. Oakham's train station is less than 500 metres away, with trains to Leicester, Peterborough and London Stansted Airport. Free private parking is available for guests. 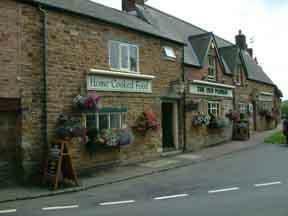 This 18th Century personally run town house hotel and restaurant is situated in the pretty market town of Uppingham. 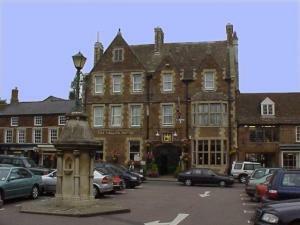 The hotel is ideally placed for exploring all of the attractions in Rutland. In the summer, sit in our quiet courtyard and enjoy the wonderful display of flowering tubs and hanging baskets, or take lunch in our secret walled garden, where you can relax and unwind. In winter, a welcoming log fire burns in our bar, enjoy the warm intimate atmosphere of the restaurant or relax in our upstairs lounge which overlooks the High Street. The Lake Isle has 12 individually decorated bedrooms, each named after wine growing regions in France. All of our bedrooms are en suite and are fitted with power showers. Some bathrooms have their own 8 jet whirlpool baths. Guests will also find fresh fruit, homemade biscuits and a decanter of sherry in their rooms. Direct dial telephones (with modems), hairdryer, trouser press, radio alarm clocks and a hospitality tray come as standard. The hotel also offers 3 cottages with their own lounge downstairs, with bathroom and bedroom upstairs (building to the right of the main picture). The restaurant offers a regularly changing menu using fresh ingredients from far afield. There is an extensive wine list of more than 200 wines ranging from regional labels to old Clarets. Special 'Wine Dinners' are held throughout the year, enabling guests to appreciate the hotel's unique wine cellar. This tastefully furnished hotel offers a friendly country retreat in a busy market town. The Old Wisteria is a privately owned hotel. Once a hunting lodge, this listed property partly dates back to 1604. The hotel driveway leads to a tranquil setting. Friendly and welcoming, with intimate surroundings and spacious rooms. Situated in the heart of Oakham, Rutland's county town. Centrally located with good road and rail access including direct links to Stansted Airport and some major cities. Close to business centres and local attractions. The pleasant, natural and unspoilt surroundings including the rolling countryside, picturesque villages and breathtaking views of Rutland Water provides both the business and leisure visitor an ideal venue in an ideal setting. Built in 1863, this Grade II listed building features a stylish restaurant and en suite accommodation just a few metres from a tributary of the River Welland. The Nevill Arms offers real cask ales, good pub food and traditional Sunday lunches. To the rear of the property is an open terrace, perfect for outdoor dining. Sit at a picnic table by the river bank overlooking the village green and stream. There is a separate conservatory for private functions. The inn underwent extensive work during 2007 but retains its original character and features, including the large, studded oak door, the oak-beamed ceilings, the stone inglenook fireplace and leaded stone mullion windows. This small, individual hotel has old-world comforts and modern-age facilities. Enjoy home-cooked food and an interesting wine list. Breakfast is available each morning at the Garden Hotel, where there is Wi-Fi access. The resident management will offer a personal service. 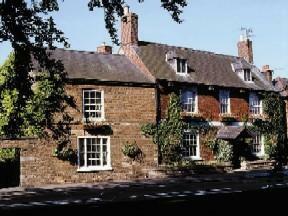 Garden Hotel is in the market town of Uppingham, which is near Corby, Leicester and Peterborough. The hotel is near Rutland Water, where you can enjoy walking, fishing, cycling and bird-watching. A unique picturesque 18th century inn situated close to Rutland Water, only 1 mile from the county town of Oakham. The Old Plough is within easy reach of Nottingham, Peterborough and Leicester, as well as the A1 and M1 motorway. Recently taken over by kelly Taverns. Whether you visit us for our speciality 'Cuisine a la Biere' menu in the conservatory, a bar snack from the specials board in the bar, or a relaxing afternoon in our garden with a barbecue, you are assured of a very warm welcome. We have a twin or double bedded room fully-equipped with the disabled in mind. Our hotel is a magnificent Grade II listed building set in a conservation area in in the English county of Rutland. The Barnsdale Hall Hotel is also located in landscaped gardens overlooking the beautiful Rutland Water. Barnsdale Hall Hotel is located 30 minutes from Leicester/junction 21 and the estate can be found between the historic market towns of Oakham and Stamford. Guests have a choice of two restaurants, a bar and in good weather may drink or dine on the patio. The discerning conference organiser has a choice of meeting rooms for up to 200 delegates. There are many activities and leisure facilities available including a heated indoor pool. Extensive water sports are adjacent to the hotel. For a memorable experience, visit the Barnsdale Hall Hotel and Country Club! Within 276 acres (1.12 km?) of beautiful Rutland countryside, easily reached from the A1 and close to Rutland Water, the hotel has 2 of the best golf courses in the Midlands. Greetham Valley Hotel has a relaxing setting amid grassland, lakes and woods. 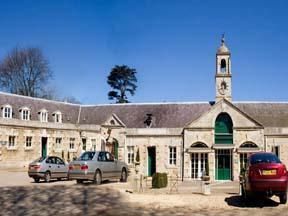 Other on-site leisure attractions include archery, bowls, off-road driving, quad-biking and coarse and salmon fishing. The hotel's clubhouse offers light, traditional dishes and is open from 07:00. The Valley and Lakeview restaurants provide dining on a grander scale. Greetham Valley is just 4.5 miles (7.2 km) from Rutland Water, with sailing, fly-fishing, windsurfing, cycling and bird watching. A 35-bedroom complex offers superb standards, while Greetham Valley also offers conferencing and banqueting facilities. Overlooking the green in the charming village of Lyddington, this traditional 17th-century country inn combines modern comforts with beautiful period features, such as original wooden beams. In the heart of this beautifully preserved conservation village, the Old White Hart is one of the few remaining traditional country pubs in the area. Rich in historic character, the inn is made from honey-coloured ironstone. The bar and restaurant offer real ales and authentic British cooking at its very best, with dishes made using fresh fruit, vegetables and herbs from the inn's own gardens. The menus change seasonally to reflect the finest, freshest seasonal produce available locally, including the best quality meat, fish and game, all at affordable prices. Free Wi-Fi is available in the bar and there is plenty of free parking on site. Rockingham Castle is just 2 miles (3.2 km) away and Rockingham Speedway is only 5 miles (8 km) from the inn. Beautifully situated in the historic market town of Oakham, this 17th century former farmhouse has been lovingly restored to offer luxurious guestrooms whilst still retaining its original features. A wonderfully characteristic, listed building, The Admiral Hornblower Hotel & Restaurant provides a warm, friendly and relaxed atmosphere, making it ideal for your stays in Rutland. The smallest county in England, Rutland is home to historic villages, rolling countryside and the traditional market towns of Oakham and Uppingham. In the evenings you can enjoy the wonderful freshly prepared food in the Admiral Hornblower's restaurant. All meals are accompanied by a wonderful choice of wines from the cellar and a variety of beers, including 3 traditional hand drawn ales. This 16th-century coaching inn in Uppingham town centre has a friendly welcome, free Wi-Fi, comfortable rooms and a good breakfast. Located next to the market square, The Falcon Hotel has modern facilities. It is due to be refurbished in 2009. Each individually appointed room has its own bathroom and satellite TV. The popular Tap Bar serves fine Real Ales and bar meals. The brasserie lounge serves full meals. Both have log fires on winter evenings. The Garden Terrace restaurant offers excellent food and wines and a patio garden. A restored, full-size antique snooker table is available for guests' use.